Fast forward to my internship year in seminary, where I served at St. Louis Campus Ministry. Unlike my church-loving college friends, the majority of students I encountered in St. Louis had almost no exposure to Christianity or church behaviors and traditions. Words like “justification,” “sin,” and “righteousness” were not even a part of their vocabulary. Yet these young people were hungry for a sacred space for spiritual conversation and reflection, for a sense of community and belonging. Again, we wrestled together with tough life issues like addiction, peer pressure, and suicide/depression that these students were experiencing first-hand. I discovered that the church absolutely had a message to offer these young people that no other organization could: good news of hope, life, and the assurance of God’s presence no matter where we are in our questions and life situations. I saw how these young people needed the church. For me, this was a turning point in my understanding of evangelism. It’s not up to us to save souls – that is God’s work. Evangelism literally means “good news.” Don’t we all have people in our lives who are yearning for some good news? Don’t we hear every Sunday a message of hope – from scripture, from the sermon, from our fellow worshippers – that God has good news for us? So, why wouldn’t we want to share that good news with the people we know need to hear it? As a pastor, I have heard and seen how many people struggle with how to share their faith with others. They don’t want to be pushy. They’re afraid they won’t have all the answers, or that somehow evangelism means quoting a list of Bible verses to someone. They’re not quite sure if they believe all the stuff they’re “supposed” to believe themselves. 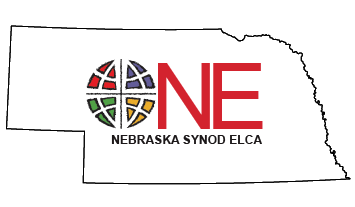 Depending on how you read the statistics, at least 60 percent of our congregations in the Nebraska Synod are in decline. I think that sometimes when congregations perceive they are dying they reach out with “evangelism” strategies in desperation. The mentality is that the church needs more young people, more diverse people, more people attending worship regularly (you fill in the blank of whom you think your church needs more of). Evangelism is too often about our survival. What if we reversed this mentality to think about how outside the church’s traditional walls and membership are a whole lot of people who need to hear some good news? What if we freed ourselves to imagine that even if our building and our programs were gone, that at least through sharing good news people would be gathering together in faith around the cross of Christ because THAT is where God shows us meaning, purpose, belonging, and life? The church doesn’t need more people, people need the church! Evangelism is not about reaching outside of the walls of the church to bring people in. Evangelism is going out in faith because that is where the people are who need to hear good news! May God give you the faith and the courage to share your story of good news with someone who needs to hear it this week. 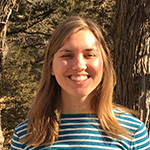 Pastor Rebecca Sheridan is the Co-Director of Evangelical Mission for the Nebraska Synod, ELCA and serves at Bethel Lutheran Church in Omaha, Nebraska.